In this episode Nick covers the big myths about whether you should or shouldn’t discount. Everyone has their own opinions but there’s ALWAYS reasons to why you SHOULD discount that goes against what everyone else tells you. When you should discount and why it’s the FASTEST strategy to increasing your monthly revenues. What “Maffia” offer is and how it’s 100% different then what your competition is doing. When it’s best to give discounts to your most loyal customers and how to do it without them searching for the next handout. 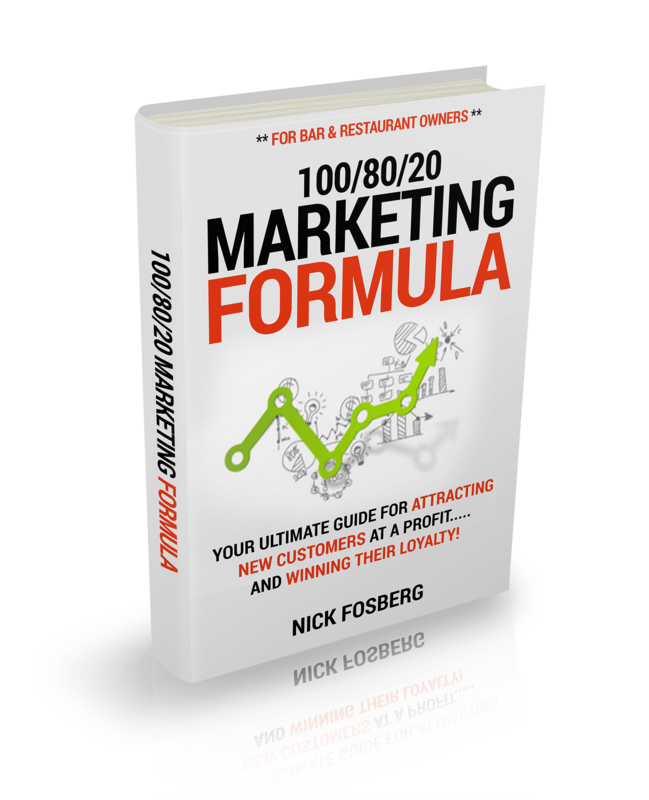 Get Nick’s #1 Selling Book For Free By Clicking Here. Just cover shipping and handling. There’s many opinions on whether you should discount or not in our industry. Some say it “hurts” your brand and some say it doesn’t. Which is true? Today I want to share with you my philosophy on discounting. First I’ll say this. I believe it can hurt your brand when done wrong. But, it can build one of the most powerful brands, when you do it the right way. 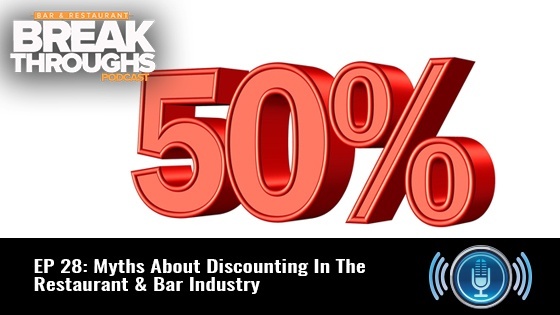 The other thing I’ll say is this, discounting is the FASTEST way to grow a stalling bar or restaurant business. I have mass amounts of proof and case studies where we’ve brought literally over 1,000 customers in my clients doors using a 50% off offer. Giving them the chance to prove themselves to a mass amount of new customers and winning their loyalty with a steep discount, which increases the chances of these new customers coming back time and time again at full price. So how do we know when it’s right or wrong? If you have enough money coming in the door, enough loyal customers who keep the consistent cash flow coming, there’s no point to discount is there? Why cut your own throat? You’re one of the few owners out there who are lucky enough to have this type of business. One that provides SECURITY – consistent cash flow that pays good managers and staff to run the place for you while you deposit healthy checks into your bank account so you can spend more time with family and friends! 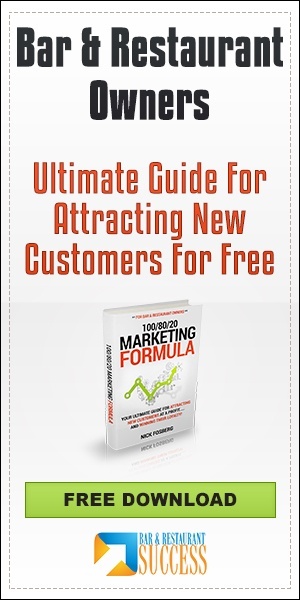 If you need more income due to lack of sales, if you want to double your loyal customers, then you need more new customers walking in to make that happen. Yes, word of mouth could work. But that’s the slow way! If you want 100 new customers in your doors in the next 14 days, word of mouth won’t get you there. An AMAZING offer that people can’t resist with some marketing power behind it is the answer. Yes… A discount! And no I’m not talking getting 10% off off your $10-$20 meal. I’m talking about a irresistible offer. A “Maffia” offer. An offer people just can’t refuse! But how do we make this offer in a way it doesn’t hurt our brand? Imagine you’re sitting at the nicest restaurant in Vegas that has the best chefs in the world. You can’t find a better meal. You can’t find a nicer atmosphere. The average meal is $150! As soon as you’re done eating, out comes the owner. He asks you how your meal was. Goes around the table and shakes everyone’s hand. He then says “I want to do something special for you. I want you and 3 other couples to come back tomorrow. I’m preparing a 5 course meal I’ve never served before. This 5 course meal, if goes as planned, will sell for $500 a person. I want you and 3 other couples to come back tomorrow so I can prepare this for you, but don’t worry, I’m buying dinner. You don’t have to pay the $4,000 for the 8 people you have. If you’re not being hard headed because the “discounting hurts my brand” mentality has been infused in you, then you’re saying YOU feel pretty special right now. You’re blown a way. Right? This is a bit of extreme example and I chose this example because restaurants like this NEVER have to discount. So what makes this FREE $500 discount per person different, to make you feel even MORE close to their brand / restaurant? Answer: The REASON WHY they are offering you this discount. The MESSAGE behind the discount. The way the discount was delivered. Right? If you’re going into Groupon, the newspaper, direct mail, online, or wherever and just shouting out “Bring in this coupon and get 50% off your next meal!” YES, this could possibly hurt the right type of bar or restaurants brand. However, you can take this same exact offer, using the same exact medias, and make people WANT to do business with you over anyone else and build instant trust and credibility with them. How? By using what I call “Reason Why” copy within your marketing message. 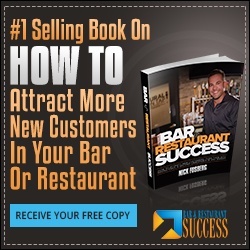 By expressing your message similar to the way the owner did at that restaurant in Vegas. It’s all about how you communicate your message! “We’ve got a goal to get 100 brand new customers in our doors this month and to make this happen, we’re giving away a valuable offer people just can’t refuse. A offer that make our competitors think we’re crazy! We want to give you and 99 others 50% off the next time you come in, good up to $20 off. We’re going to make absolutely zero profit from this offer, but that’s not what this is about. We’re betting that when you come into ABC restaurant and bar, that you’ll have an amazing experience. One that will make you want to tell your 5 closest friends as soon as you leave. One that will make you get on social media and rave about us. Do you see how this is a MUCH different and more powerful way of conveying your offer? Do you see how people could instantly be attracted to you by being honest and willing to NOT make a profit in order to PROVE yourself first? Even When YOU Don’t Need To! 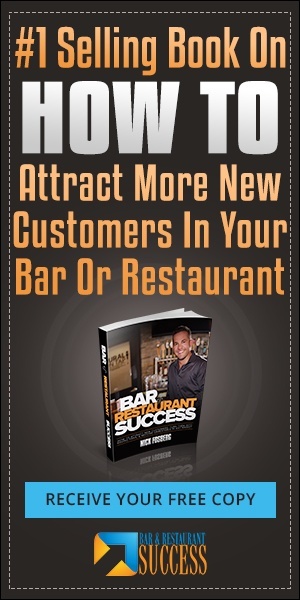 The last thing I want to leave off with is when I believe bars and restaurants SHOULD discount, even when they don’t need more sales or more new customers. When we have very loyal repeat customers who spend thousands of dollars with us per year, I think it’s only right we appreciate them for their loyalty. You can do this through rewards / loyalty programs. You can also do this as a special event. Every year for Christmas and Thanksgiving I do a holiday party for my top 100 customers. Invite only. Must pre buy tickets ahead of time. These parties includes free dinner. Yes FREE! “But my brand!” HAHA! Yes… my brand is getting even stronger and stronger by giving away FREE dinners! We presell tickets ahead of time to our VIP members. $5 per ticket. This ticket is good for drinks the night of. By pre-selling these, this allows us to know how many people are coming and when to cut off reservations. At the end of dinner, we have $400-$700 worth of gifts to raffle off and giveaway. Not only are we giving away free dinner but we’re giving away free prizes! I believe in giving back to those who make you successful and there should be a few nights out of the year that you do something VERY special for your most loyal customers. They appreciate it. They’ll remember you forever. And when the new bar or restaurant opens up 3-6 months down the road from you, yea they’ll probably go check it out, but they’ll stay loyal to you because you’ve been so good to them. Plus, we NEVER lose money on these types of events. We make a small profit because of the drinks that are sold and we do this on one of our slowest nights of the week.